1 - Holy Name of Jesus / New Year's Day: What Child Is This? "Though with Twelfth Day [January 6] the high festival of Christmas generally ends, later dates have sometimes been assigned as the close of the season. At the old English court, for instance, the merrymaking was sometimes carried on until Candlemas [February 2], while in some English country places it was customary, even in the late nineteenth century, to leave Christmas decorations up, in houses and churches, till that day.﻿ The whole time between Christmas and the Presentation in the Temple was thus treated as sacred to the Babyhood of Christ; the withered evergreens would keep alive memories of Christmas joys, even, sometimes, after Septuagesima* had struck the note of penitence." In some years, it can be as late as February 22. January 1, New Year's Day, has previously been celebrated as the Feast of the Naming and Circumcision of Christ. Since Vatican II, this feast has been celebrated by Roman Catholics as the Solemnity of Mary, Mother of God. Links open in a new window at an external site. January 7, is also Handsel Monday & Plough Monday (always celebrated the first Monday after Epiphany). 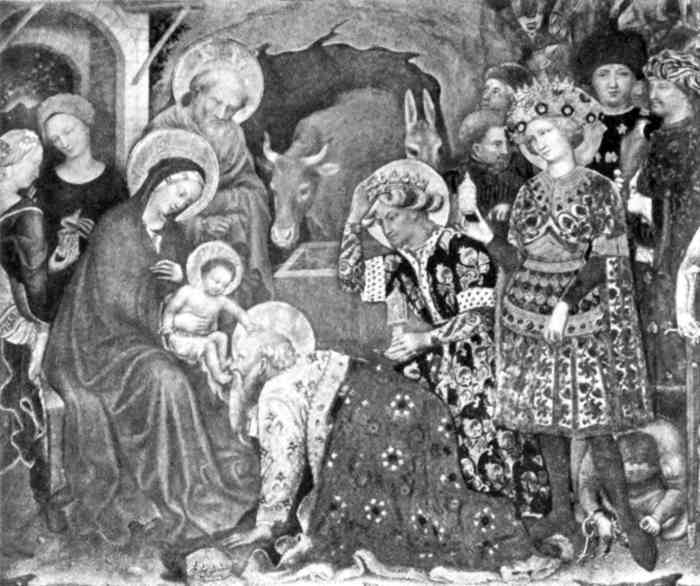 See: CHAPTER XVI,"EPIPHANY TO CANDLEMAS," Christmas In Ritual and Tradition by Clement A. Miles (1912). On February 2 are the celebrations of the Presentation at the Temple, the Purification of the Blessed Virgin Mary, and "Candlemas" — the blessing of the candles to be used during the next year in churches, together with a candle-lit procession, said to be based on Simeon's declaration in the temple when he took Jesus in his arms, and affirmed that he was a light to lighten the gentiles, and the glory of Israel. See generally: Gospel of Luke 2:22-39.